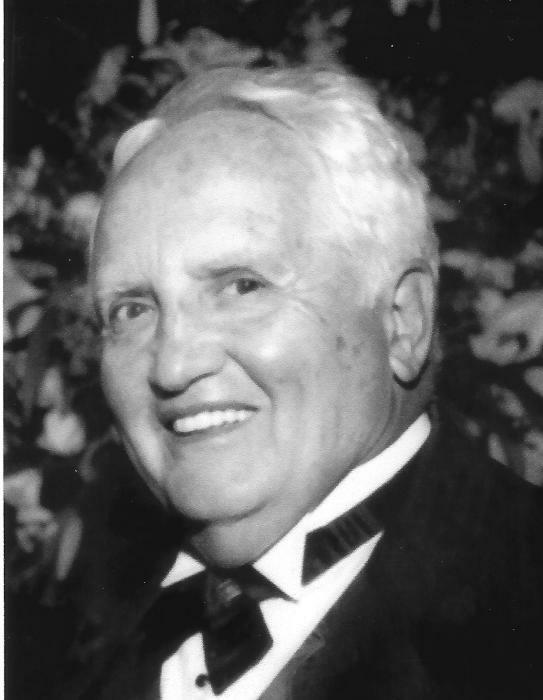 Dr. Edward A. Partenope of Palm Beach Gardens, Florida, passed away at home Sunday March 24, 2019 at 93 years old. Born in West Orange New Jersey, to parents Nicholas A. Partenope Sr. and Theresa V. Partenope. He was a long-time resident of Colonia NJ. Actively involved with St. Cecelia’s Parish. He worked closely with Monsignor Wilus on the yearly St Cecelia’s Fair. Dr. Partenope started with the Iselin Knights of Columbus, then continued with the K of C in Florida, now a Sir Knight with Council 13139 and Assembly 3299. He was a graduate of Rahway High School and received a B.S. from Georgetown University. During WWII he achieved the rank of Sergeant as an Army Medical Technician receiving the WWII Victory Medal. He met his wife Rose while she attended college for Nutrition in Washington D.C. They dated for years and married while he was in medical school. He received a Master’s in Cardiology Research for work done at Georgetown University Department of Medicine. He attended the New Jersey Medical School for one year before it closed. Dr. Partenope received his medical doctorate from Georgetown Medical School. When in Boston during his Neurology Fellowship, he realized Heart Disease and Prevention and Treatment of Hypertension as his true medical passion. He and his wife shared that passion and were both involved with the Heart Association. Initially in Washington D.C., while he completed his Fellowship of the American College of Cardiology (FACC). Then in New Jersey, both involved with the Middlesex County Heart Association for many years. His 47 year career as a Physician and then Cardiologist began at St. Michael’s Hospital Newark. He was Responsible for the creation of the Cardiac Care Unit at both Rahway Hospital and John F. Kennedy Medical Center Edison. As well as initiating one of the first Cardiac Rehabilitation Programs in the country. He was instrumental in the development of JFK’s computerized cardiac monitoring system, which was the second of its kind in the world, and which was studied by visiting cardiologist from across the country and abroad. Dr. Partenope was president of the New Jersey Society of Internal Medicine, and chairman of the New Jersey chapter of the American College of Cardiology. He was selected as one of 13 cardiologists to represent the United States at an International Cardiology Symposium in Paris during 1988. The couple vacationed at VCI Cancun Mexico where Dr. Partenope was on the board for the resort. During those years he was responsible for initiating its employee’s dental insurance, utilizing local resources and skills to make improvements to the resort. He was also responsible for starting free English language classes for employees to enable up-word mobility within the resort. He retired from John F. Kennedy Medical Center and his Groups practice in Dec. 1993. He continued his 47-year Cardiology career as a Cardiac Consultant until 1995 when he and his wife moved to Jupiter Florida. There they spent several years in Admiral's Cove. After the loss of Rose, the love of his life, he moved to Devonshire at PGA National Palm Beach Gardens Florida. He was predeceased by his loving wife of 60 plus years Rose C. Partenope (2009). Survived by his brother, Dr. Nicholas A. Partenope DDS. of Fairlawn, now Rockaway NJ. Surviving are his children and their spouses; Dr. Nicholas A. Partenope of Colonia NJ; R. Christine DeMarco and deceased husband Jon of Colonia NJ; Marie (Richard) Wing of Lebanon NJ, Kathy (Michael) Alfieri of Dunmore PA.; Edward (Barbara) Partenope, Jr. of Westfield, now Lavallette NJ. ; Theresa (Philip) Liantonio of Edison NJ.;. also 14 grandchildren and 12 great-grandchildren with one more birth expected in April. Visitation will be held on Friday March 29, 2019 from 2 to 4pm and 7 to 9pm. at the Gosselin Funeral home, 660 New Dover Road, Edison New Jersey. Funeral services will be held at St Cecelia’s Church Iselin New Jersey on Saturday at 10am. Condolences to the family may be sent to gosselinfuneralhome@hotmail.com.